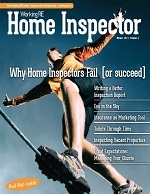 Editor’s Note: The Standards of Practice issued by the American Society of Home Inspectors (ASHI), are important because many states and insurance companies use them as a framework for best practices. Our topic this month is kitchen appliance inspections. The new ASHI Standard of Practice (SoP) requires us to inspect kitchen appliances. Some of us may be wondering what we’re supposed to be doing. Let’s start by reiterating the disclaimer: the following is our considered opinion, for whatever it’s worth. This is not an interpretation of the SoP and this is not a statement of ASHI policy. SoP Clause 10.1.F states: The inspector shall inspect installed ovens, ranges, surface cooking appliances, microwave ovens, dishwashing machines, and food waste grinders by using normal operating controls to activate the primary function. The first thing to note is that the SoP identifies specific appliances. The SoP excludes appliances such as refrigerators, trash compactors, clothes washers, and clothes dryers. You may inspect other appliances if you wish, but it’s not required. The SoP also excludes appliances that are not installed. This includes counter top microwave ovens and other counter top cooking appliances. The second thing is that the SoP describes the inspection method. You inspect by operating the appliance’s primary function to determine if it functions properly. What does that mean? We’ll address this for each appliance. An interesting question, for Standards geeks, is how does SoP Clause 2.2.B.1 apply to inspecting appliances? What? You don’t remember this clause? Inspectors should have it tattooed on a readily accessible part of their anatomy. This essential clause tells us we are looking for defects that involve not functioning properly, significantly deficient, unsafe, or near the end of their service lives. Identifying appliances that are not functioning properly is the goal of inspecting appliances. 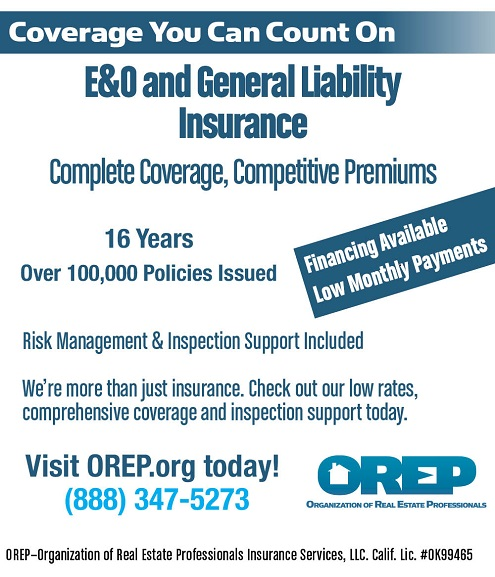 Significantly deficient does not apply to appliance inspections because the SoP directs us to inspect appliances by operating them. The SoP does not direct us to inspect for significant deficiencies in the appliance itself. We may find significant deficiencies in and around the appliance while inspecting it, and if we happen to find any we should report them. We should inspect for clearly visible unsafe conditions in appliances regardless of whether we operate them. Identifying aging appliances is a good client service, and a task you may wish to perform, but it’s not required. Remembering SoP Clause 2.2.B.4 is also important, although framing it on a wall in your office is probably sufficient. This clause instructs us to report if we do not inspect a required system or component and to report the reason why. There are good reasons why you might not operate a kitchen appliance. If you don’t, you should report the fact and report why not. By the way, reporting that you did not inspect the appliances is required even if you disclaim appliance inspections in your inspection agreement. We’re going to divide the tasks for inspecting each appliance into two categories. Tasks you should perform are those that we believe are important to determining if the appliance is functioning properly. Tasks you may wish to perform are those that we believe may be a good idea, but are beyond the intend scope of the SoP. There is one other caveat. Use your state SoP and any interpretations thereof if your state requires you to inspect appliances. Some states may require more than what we believe is adequate. Inspecting the dishwashing machine (dishwasher) involves determining if it fills with water, operates and drains. Running the dishwasher on any cycle that requires it to perform these functions satisfies the inspection requirement. • Check the floor around the dishwasher and check in any cabinets in which the drain or water supply hoses run for evidence of water leaks. • Check the type, size, and condition of the drain hose. The drain hose should be at least ¾ inch diameter and have no visible splits, holes, or blockages. Drain hoses supplied with dishwashers are usually not rated to pass through walls or floors. • Check the type and condition of the water supply hose. The water supply hose may be a flexible stainless steel connector, copper tubing, or a material recommended by the dishwasher manufacturer. Copper tubing may pass through walls and floors; connectors usually may not. • Check the drain hose termination connection under the sink. The hose should be connected to the connection port on the disposal or to a wye fitting in a sink tail piece upstream from the sink trap. Be sure the hose clamp is installed. • Determine that the food waste grinder is clear of debris if the dishwasher drain hose is connected. The drain water may back up in a blocked food waste grinder. • Check the condition of any visible electrical connection, including whether the dishwasher is disconnected. You are not required to, and probably should not, connect the dishwasher to the electrical supply. • Check the water supply hose connection. The hose should be connected to the hot water supply and the supply should be on. You are not required to, and probably should not, turn on the water supply. • Determine if something in the dishwasher might be damaged if you operate it. This could include operating instructions if the dishwasher is new and expensive china or silverware. You are not required to, and probably should not, move occupant belongings out of the dishwasher. • Consider not operating the dishwasher if any of the above are not satisfactory. • Check for the presence of the drain hose high loop or air gap device. Check around the air gap device for evidence of water coming out of the device. This usually indicates a blockage in the drain hose. • Determine if the dishwasher is attached to the counter top or kitchen cabinet. • Determine if the dishwasher is reasonably level. If the racks slide out by themselves, it probably isn’t. This could affect whether the dishwasher drains properly. • Check door operation. It should move freely without binding or scraping on the counter top or cabinet. If the door drops hard when opening, the springs are probably weak or damaged. • Determine if the dishwasher has been operated recently. It could be months since a dishwasher in a vacant home has been operated. You may wish to pour about one quart of water in the bottom of the dishwasher to avoid running the pump while dry. Also, keep a close eye on the dishwasher during operation. The seals tend to dry out and may leak. Be sure to run the hot water through the supply pipes, especially to the dishwasher. This helps avoid the exploding dishwasher caused by the buildup of hydrogen sulfide gas in the water heater. • Check door and control condition for significant damage and absent parts. • Check the door seals for damage and deterioration. • Check the sump area in the bottom for significant water accumulation (a little is normal in many dishwashers) and for accumulation of debris that might block water flow. • Check operation and condition of the racks and utensil tray. • Check the tub for damage, deterioration, and rust. • Check the condition of the heating element. Set the dishwasher to heated dry to test operation. • Close the detergent dispenser. We’re not required to check this feature, but doing so only takes a second. Finding a detergent dispenser for an old dishwasher could be difficult, so someone might want a new dishwasher instead. • Listen and observe that the dishwasher fills, operates, and drains. Check the sump for excess water after operation. Check any air gap device for evidence of leaks. • Check the detergent dispenser lid; did it open? • Check the floor around the dishwasher and in any cabinets in which the drain or water supply hoses run for evidence of water leaks. • Confirm that the dishwasher is off before you leave. A range is an oven and cooktop in one cabinet. A wall oven is one or more ovens installed in a cabinet. A cooktop consists of burners mounted in a kitchen counter top. Inspecting an oven involves activating one element, usually the lower (baking) element. Inspecting a cooktop involves operating all burners and any warming area at the highest temperature. Tasks involved in inspecting these appliances are similar, so we’ll discuss them together. • Check inside the oven and check all burners to determine if anything could be damaged by operating the appliance. Consider if you wish to move/remove anything that might be damaged. • Check the condition of the oven and burners to determine if it appears safe and prudent to operate the appliance. Excessive food spillage and visible damage to heating elements are examples of situations when you might consider not operating the appliance. • Check for absent and damaged knobs and controls that might make operation difficult. • Check that the wall oven and cooktop are attached to their cabinet/counter top. • Check door operation. It should move freely and not bind, scrape, or hit nearby objects. If the door drops hard when opening, the springs are probably weak or damaged. If it binds or scrapes, the door might be installed incorrectly or the hinges might be bent or damaged. • Check the condition of visible electrical and gas connections. Remember that plug-and-cord cables and flexible gas connectors may not pass through walls, floors, and ceilings. You are not required to move the appliance to do this. You are not required to, and should not, connect the cooking appliance to the electrical or gas supply. • Consider not operating the appliance if any of the above are not satisfactory. • Check for the presence and operation of the range anti-tip bracket. • Check door glass for cracking and other damage. Staining between panes isn’t really damage, but you may want to report if it’s significant. • Check the door seals for damage and deterioration. Damage could be a safety issue during the self-cleaning cycle by allowing escape of very hot gasses. • Check the operation and condition of any pan drawer under the range. • Check operation and condition of the racks. • Check the cabinet for damage and deterioration. • Check the operation of the oven element that you don’t test. • Check the operation of any self-clean lock lever (don’t test the self-clean cycle). • Check if the range is visibly level. • Check the carbon monoxide level produced by a gas oven. • Determine that the tested oven element and all burners glow red at the highest temperature (note, this may not work with some induction ranges/cooktops). • Leave the oven door open while operating the oven. It’s a good way to remember to turn everything off before you leave. Note that some ovens do not permit operation with the door open. • Don’t put anything back into a hot oven or on hot burners. Microwave ovens that we should inspect include those above the range/cooktop and those built into a cabinet. Some high end microwaves include a convection oven. We should inspect the convection oven like a wall oven if it has a convection bake function that can be used without the microwave. • Check inside the appliance to determine if anything could be damaged by operating the appliance. Consider if you wish to move/remove anything that might be damaged. Remove the metal rack, if installed, to avoid arcing. • Check the condition of the appliance to determine if it appears safe and prudent to operate the appliance. Excessive food spillage and visible damage to the door are examples of situations when you might consider not operating the appliance. • Check that the appliance is attached to its cabinet/counter top. • Check the condition of visible electrical connection. Remember that plug-and-cord cables may not pass through walls, floors, and ceilings. Look at the microwave if you test the kitchen GFCI receptacles. If the microwave goes off, it’s not on its own dedicated circuit as it should be (and it’s connected to the kitchen small appliance circuit which it shouldn’t be). You are not required to, and probably should not, connect the appliance to the electrical supply. • Check the visible exhaust duct material. It should be smooth wall metal, usually galvanized steel or copper. The exhaust duct should run to the outdoors, not into the attic or crawlspace. Schedule 40 PVC or ABS may be used for downdraft units if the duct is installed in a concrete slab. • Check the exterior termination fitting. If there’s a damper, determine if it moves freely. A termination opening smaller than about 6 inches diameter or an equivalent area in a rectangle might be too small. • Check door operation. It should move freely and latch securely. • Check for the presence of exhaust fan filters. • Remove filters when the exhaust fan exhausts directly out the back wall and try to see the exhaust duct. Sometimes the fan is blowing into the wall cavity without a duct. • Check the distance between the floor and the top of the microwave and check the distance between the cooktop and the cabinet. Some manufacturers recommend at least 66 inches between the floor and the top of the microwave and at least 30 inches between the cooktop and the cabinet. There is no generally accepted minimum distance between a microwave and a cooktop; although you should get a bit nervous from a safety and convenience perspective when the distance gets below 13 inches. • Pour a few drops of water on the glass tray or insert a wet paper towel and run the microwave for about 10 seconds; the water should be hot. • Check the condition and operation of any glass tray. • Check operation of any light. • Check operation of any exhaust fan. Feel around the top and sides of the appliance for excessive backflow of air with externally exhausted fans. This may indicate that the fan isn’t connected to the duct or that the exterior damper is stuck shut. The term garburator will be the first entry in the Canada/US translation dictionary; garburator’s one term for this appliance north of the border. Don’t call it a Disposall (unless it is the GE brand). Disposall is a brand name and like all brand names, use of a brand name is poor reporting practice unless the appliance is that brand. Inspecting the disposer involves turning it on and listening for unusual sounds. Feeding the disposer is not required or recommended. • Check the condition of the disposer exterior to determine if it appears safe and prudent to operate the appliance. Run water in the disposer to check for leaks. You might want to feel around and look for water. Leaks and significant rust or deterioration of the case are examples of situations when you might consider not operating the disposer. • Check the condition of visible electrical connection. Remember that plug-and-cord cables may not pass through walls, floors, and ceilings. The cable should be terminated at the disposer in a strain relief clamp. NM cable should be protected against physical damage. You are not required to, and probably should not, connect the disposer to the electrical supply. • Check the plumbing fittings and trap. Pay special attention to when the disposer discharge pipe is at the same level as the waste pipe from the adjacent sink. The disposer may send waste into the adjacent sink without a directional fitting where the two pipes connect. • Check the presence and condition of the flexible splash guard at the disposer mouth. • Check the condition of the grinding mechanisms by shining your flashlight into the disposer and looking at them. • Check the location of the power switch. Is it reasonably convenient? • Run cold water in the sink before starting the disposer. Start the disposer. Listen for loud or unusual sounds, or no sounds. Disposers sometimes freeze up when not operated for awhile. You might recommend that someone try to unfreeze it with the Allen wrench before replacing the disposer. Many of us have been inspecting kitchen appliances for years, but without really thinking about what we’re doing. Perhaps this will serve as a start for a more uniform protocol for inspecting these appliances. I am all about providing full consulting inspections. However, I charge a good consulting fee based on the number of hours that I estimate an inspection will take, and my fees are typically higher than the average home inspector. Therefore, I offer my clients different options; e.g., I often have clients purchasing a home with the intention to remodel and replace all appliances, and therefore, educated clients do not want to pay for a service not needed, which is why I offer discounted rates and exclude items as deemed appropriate per client needs. I also write into my inspection items excluded from the inspection per client agreement. 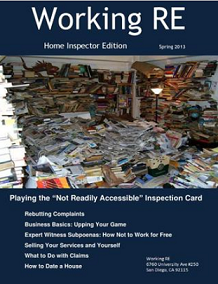 Florida’s statute state that an inspector shall document items that are not part of the inspection and why. The SOP being discussed in this topic may fall within the same guidelines for other states, but if interpretation is an issue then I advise seeking legal advice. Not at the requested fees we are forced to work for. More scope creep, when does it end. I am not a home inspector and this falls under home inspections. What happens when the appliance does not work properly and in causes property damage. Who is responsible for that. Sorry I will not be completing these orders!